Homeless campers living on the grounds of Victoria’s courthouse say British Columbia’s government should take the blame for the shanty−town that neighbours are calling an urban ghetto. Homeless campers living on the grounds of Victoria’s courthouse say British Columbia’s government should take the blame for the shanty−town conditions that have neighbours complaining about the eyesore and the province concerned about safety. Together Against Poverty Society spokesman Stephen Portman said Tuesday that more than a decade of inadequate government funding for social programs has forced hundreds of people to live on the streets in Victoria. "Living next to a tent city with 100 homeless people is certainly not what every neighbourhood is prepared to deal with," he said. "I don’t think there are very many people who agree that an economic refugee camp in the middle of Victoria makes a lot of sense." The B.C. Supreme Court refused to grant the government an interim injunction to dismantle the camp earlier this month. Neighbours living near the site say it is an urban ghetto. An organization calling itself Mad as Hell has formed to represent area residents and businesspeople. One man who works near the camp said he has picked up discarded needles, human feces and other waste left in the area by the campers. Portman said the neighbours’ concerns are very real, but can sometimes be inflated. "It’s up to the people who are actually experiencing these complaints to come and talk to this community. TAPS would be happy to facilitate that," he said. The camp has grown from one tent last spring to a crowded, tarp−covered area that includes pallet board fences and a central communal area with a ceremonial fire. Portman says the society, which speaks for the homeless group, is preparing to make the government’s social−services policies the highlight of a court case set for September 7, where the province is applying for a permanent injunction to shut down the camp. "The salient point here is that this government has underestimated the number of people who are homeless and the factors contributing to that homelessness," he said. Portman said the society estimates there are about 700 homeless in Victoria. B.C. Housing Minister Rich Coleman said the government has provided housing options for 180 people connected to the camp, but others who may not be homeless continue to live at the site. "It’s frustrating," he said. "There are people down there who are not homeless." The government recently enlisted the services of the Portland Hotel Society, a non−profit advocacy organization working in Vancouver’s Downtown Eastside, to help connect Victoria campers with housing options. Portman disputed Coleman’s figures, saying the government has provided 38 housing units for people, but the remaining spaces are temporary. "They’ve come online with 38 houses, or housing for 38 people," he said. "Between five and seven of those people are actually from the tent city. He doesn’t understand the depth of homelessness in this community." The province purchased a seniors care home to provide housing and has created temporary shelter space at a former youth jail and a downtown Boys and Girls Club. It has also offered rent supplement payments to others. Coleman said he has ongoing safety concerns about the camp and the government is considering going back to court before the September injunction application. "My biggest concern with any one of these camps is always fire, open flames," he said. Victoria Police released a letter this week dated last November warning the B.C. government that "allowing entrenchment of campers in an open area that has not been designed for permanent camping leads to numerous public−safety and public−order issues." 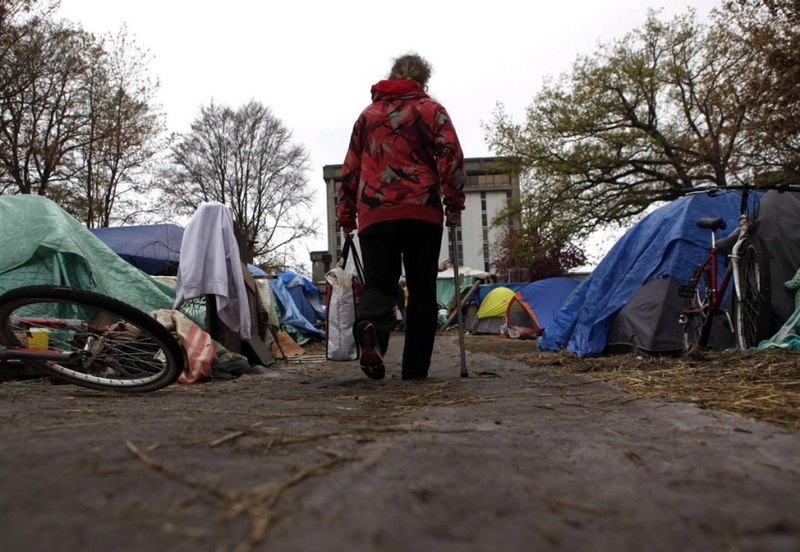 Coleman said the government has experience dealing with homeless camps in other B.C. communities and decided to work with all parties involved to ensure a supportive and co−ordinated response.